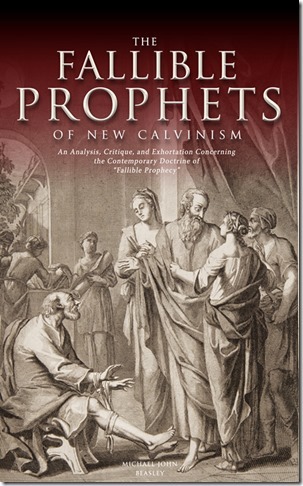 Book Review by Gary Gilley: The Fallible Prophets of New Calvinism by Michael John Beasley, (The Armory Ministries: 2013), e-book available from Amazon. It has been well over two decades since Wayne Grudem wrote his ground breaking book, The Gift of Prophecy in the New Testament and Today, which attempted to give theological legitimacy to common practices found especially in Pentecostal and charismatic circles. Those practices had to do with the so-called “sign gifts” of miracles, healings, tongues and prophecy. Grudem’s burden focused almost entirely on prophecy and words of knowledge. Pentecostals and charismatics have long claimed extrabiblical words, visions and prophecies that came via direct communication from the Holy Spirit. But it was common knowledge that many, if not most, of those supposed revelations were inaccurate in whole or in part. The Old Testament had condemned fallible prophets to death (Deut 13, 18) so obviously this was a serious issue to God. If this seriousness was carried over to the New Testament era what was to be done with those who claimed prophecies from God but were in error? In 1 Corinthians 14, even during a time in which all agree direct prophecy from God was being given to some, especially the apostles, Paul called on the church to evaluate these prophets and expose them if they were prophesying falsely. The death penalty was not carried forward from the old covenant, but rebuke and even church discipline would be in order for those who continued such practices. Charismatic theologians, such as Grudem and others desirous of being faithful to Scripture had the difficult task of trying to harmonize the practices of modern day prophecies that were fluent in their church tradition, or expose them as unbiblical. Most charismatics have admitted that their supposed revelations were often inaccurate. At best they were a mixture of “a word from the Lord” and the imagination of the prophet. How could such practices harmonize with Scripture? Grudem labored to show, both in his The Gift of Prophecy in the New Testament and Today and in his popular Systematic Theology, that New Testament prophecy differs from Old Testament prophecy. He believes that the New Testament prophets, but not the apostles, were fallible and often partially inaccurate in almost all revelations from God. Grudem attempts to prove his thesis from the Scriptures themselves, principally through the example of Agabus in Acts and the epistle of 1 Corinthians, especially chapter 14. 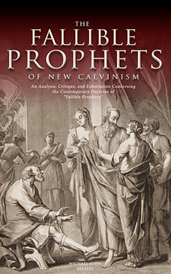 While The Fallible Prophets of New Calvinism is at least the fifth important work refuting Grudem’s theory, his views have nevertheless been embraced in a wide range of evangelical, non-charismatic camps. Of recent note is a new breed of those holding to Reformed theology but also accepting the charismatic gifts, including prophecy. Often called New Calvinists, or Neo-Calvinists, these individuals have combined a seriousness concerning Scripture and theology with a Pentecostal understanding of sign gifts. These continuationists (prophecy and sign gifts continue throughout the church age) believe they now have the best of both worlds—a solid grounding in the Word of God and the presence and power of the Holy Spirit. But not only have the New Calvinists misrepresented those holding to cessationism (that prophecy and other sign gifts have ceased) they have seemingly misunderstood what the Scriptures teach concerning the purpose and duration of the sign gifts. It is the goal of Michael Beasley to provide careful biblical analysis of the Neo-Calvinists’ views and show that they lack scriptural support. 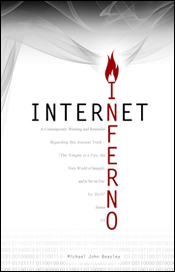 Since Grudem is the Neo-Calvinist theologian leading the charge in attempting to develop and defend the position of fallible prophecy, Beasley primarily interacts with his writings. There are already four valuable critiques of Grudem’s position: Robert Thomas, “Prophecy Rediscovered? A Review of the Gift of Prophecy in the New Testament and Today” found in Bibliotheca Sacra Vol. 149 (1992), pp. 82-96; Thomas Edgar, Satisfied by the Promise of the Spirit (1996); F. David Farnell, “Fallible New Testament Prophecy/Prophets?”; A Critique of Wayne Grudem’s Hypothesis” (Master’s Seminary Journal, Fall 1996) and R. Bruce Compton, “The Continuation of New Testament Prophecy and a Closed Canon: A Critique of Wayne Grudem’s Two Levels of New Testament Prophecy” (Detroit Baptist Theological Seminary). Beasley attempts to supplement rather than duplicate these works. After dealing with the biblical understanding of prophecy in chapter one, Beasley critiques Grudem’s three key arguments for the continuationist’s position. First, in the second chapter the author takes a careful look at Grudem’s definition of prophecy as derived from the lexicons. Beasley documents Grudem’s selective lexical examination and determines that Grudem has skipped over the clear biblical definition and chose instead to use pagan meanings for the word prophet (pp. 49-56). Beasley then offers very helpful examples of how such methods would affect our understanding of other words, such as theos (God) and dikaios (righteousness) (pp. 52-56). 1. Contrary to Grudem, Paul was in fact delivered over to his captors despite the will of the Jewish mob. 2. Contrary to Grudem, Paul was delivered over to his captors by legal compulsion. 3. Apparently unknown by Grudem, Paul was willingly delivered over by the Jews in the face of Roman jurisprudence (p. 92). Since others have addressed the first two possibilities, Beasley chooses to advance the third. His carefully presented argument leads to the conclusion that Grudem is reasoning from both ignorance of New Testament times, as well as from silence. Grudem simply cannot prove his case against Agabus. And since Agabus is the only New Testament prophet that we are aware of who may have given anything resembling a fallible prophecy, Grudem’s position loses much of its punch if his theory about Agabus is wrong or even improvable. Grudem’s final evidence for fallible prophecy is grounded in the gift of prophecy as found in the church at Corinth. Grudem believes, based on 1 Corinthians 14, that New Testament prophecy is fallible/nonauthoritative and extremely common (pp. 129-130). If the church at Corinth was called upon to evaluate the prophecies of its members, then apparently those prophecies cannot be wholly of God and without flaw, so Grudem reasons. Beasley believes Grudem is missing the corrective context of the epistle to the Corinthians, as well as the inseparable link between Old Testament and New Testament prophecy. Since in the New Testament there is no clear, distinct statement regarding a difference between Old and New Testament prophecy, there exists no warrant to view the prophetic gift at Corinth any differently from how we would view prophecy under the Old Covenant. With that in mind Beasley makes a case for Paul calling for testing of the prophets themselves not the prophecies at Corinth. If the revelations being given in that church were not completely true it was a sign that the prophets themselves were false—just as in the Old Testament (pp. 147-160). After all, Peter is clear that no prophecy comes from the will of man but from God (2 Pet 1:21). Scripture clearly designates two classes of prophets—true and false. A third class has been invented by the Charismatic/continuationist community, and circulated widely by many New Calvinists—fallible prophecy which contains elements of both truth and error. Such a category is nothing less than human contrivance (p. 164). Beasley ends his book with a powerful conclusion. In particular he quotes John Piper’s defense of fallible prophecy (pp. 175-176), then allows Piper to discredit the whole system (pp. 177-178). Here Piper, who encourages his church to seek the sign gifts, receives a prophecy about his family from a woman in his church. Not wishing to discourage prophecies he prays about it. The prophecy claimed his wife would give birth to a girl and die in the process. Several months later she bore a boy and was completely healthy. This was a false prophecy in every detail except that Piper’s wife was pregnant. This again begs the question—of what value is fallible prophecy? How could anyone determine which parts were of God and which of the mistaken imagination of the so-called prophet? Not only does fallible prophecy have no real value, it is dangerous and can lead the gullible to take very unfortunate actions. In addition, there simply is not a good case in Scripture to prove the claim that New Testament prophecy differs from that in the Old Testament. 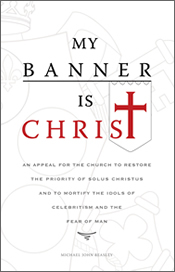 Beasley has done the church a wonderful service by producing this volume. My hope is that many will read it and absorb its contents. 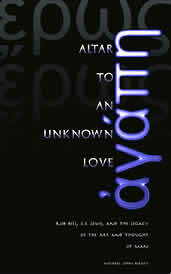 Presently it is available only as an e-book from Amazon.